If you are looking for information on the Esthetic Center franchise business opportunity, Esthetic Center franchises or Esthetic Center franchising, then you have come to the right place. What gives the Esthetic Center franchises the edge in the dayspa categories? 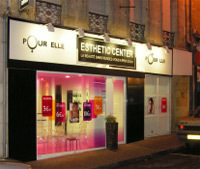 Not only an unmatched experience with more than 150 stores worldwide... Esthetic Center is not a European waxing concept. Esthetic Center is the # 1 waxing concept in Europe. Our goal is to satisfy clients who want to look their best while saving money and enjoying the freedom of our no appointment services. Because we understand that today's women and men want to feel free to organize their own schedule, we provide a walk-in dayspa concept with expertise in rush management. So, you won't only learn how to reduce waiting time during the most wanted time slots, you will also find out how to make occupancy more profitable during off peak hours. All our services are timed and that's what determines your salon profitability, with estheticians performing several services at a time. So, all our services feature very attractive prices thanks to a wide choice of membership options to target any kind of client. We not only provide a great concept, but an assistance all along of our partnership. Site selection, project management, education program and on-site training, grand opening and all year long marketing campaigns, high performance software. Our clients' loyalty and great satisfaction are all the benefits of this assistance. 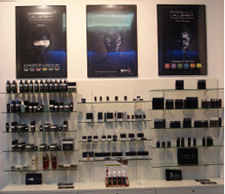 Frantz Lallement Paris Cosmetics provides the network with an innovative, modern line of cabin and retail beauty care products. The comprehensive line includes over 150 references. It is composed of women and men face and body beauty products as well as make-up products. The line was launched in combination with a veritable Beauty Kod that puts the language of cosmetics in terms clear enough to be understandable to all. The Beauty Kod simplifies the cosmetics. The choice of the pictograms also makes sense to anyone. The product sales rate is an important part of your total income. That's why our cosmetic products add great value to your salon.